Baseball Stadiums are typically known for their more extreme menus. Unlike a lot of those stadiums, Chase Field has vegan options! We’re not talking just a salad either. 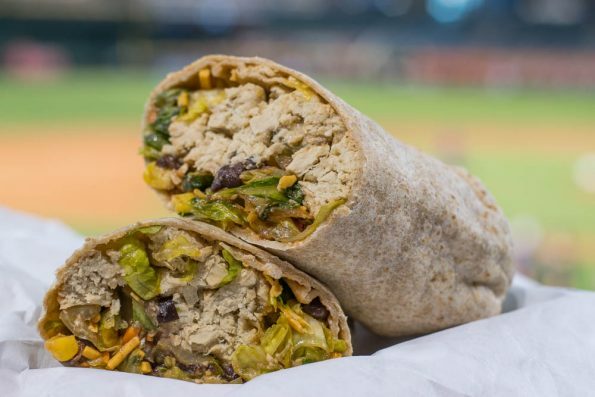 Intrigued by their vegan offerings, we dug a little deeper to find out why Chase Field decided to go outside the box and offer vegan options. Kick’n Chick’n Wrap (Vegan): The Kick’n Chick’n Wrap is comprised of Grilled Gardein Chick’n, roasted corn, baby spinach, romaine lettuce, “Follow Your Heart” Cheddar cheese, tomatoes, pumpkin seeds, black beans, green onions and chipotle BBQ dressing. The wrap is very tasty and flavorful. However, be forewarned; if you are not a fan of mock meats, then this may not be for you. All is not lost though if mock meat isn’t your jam, as the wrap would be equally as good without the Gardein Chick’n. 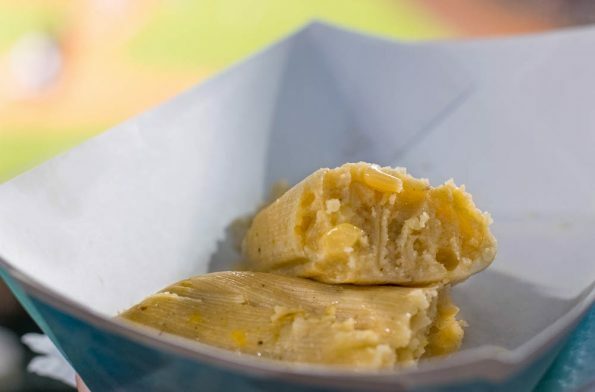 Rey Gloria’s Green Corn Tamale: While the green corn tamales at Rey Gloria’s are amazing, the story behind them is even better! The tamale stand is owned by Rey Cota who began his association with Chase Field as a security guard! Through a series of events, he managed to get his tamales to Derrick Hall. Derrick enjoyed them so much, that the Diamondbacks actually put down the initial capital so Cota could follow his dream. ← Previous Previous post: Celebrate the 4th of July with These Valley Deals!